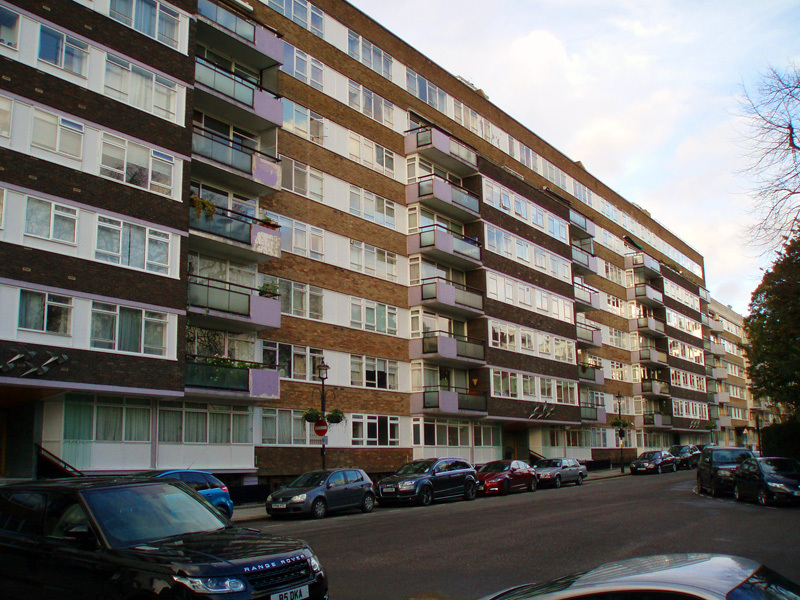 10 – 72 Sussex Square is a large private residential block in the heart of Bayswater constructed with a reinforced concrete frame clad with brickwork and glazed panels with projecting mosaic covered balconies to the front elevation. Over the years there has been significant frost damage to the brickwork and failure of the mosaics to the balconies. The property owners, the Church Commissioners of England, employed Structural Renovations Ltd to carry out an abseil survey to investigate the defects, establish the construction details and carry out testing of the concrete frame to assist in a feasibility study into over cladding the façade. The survey was completed in late February and the report submitted in early March in time for the client’s team to review and prepare a scheme for the project that is to be carried out this summer.